In 1990, the Chiba Prefecture west of Tokyo had the highest concentration of golf courses in Japan. This project represented an exploration between landscape and building with the intention of allowing landscape to take a more dominant role. This is fitting for a golf course, especially in an area so densely built. The project was never constructed due to the economic downturn in Japan at that time. 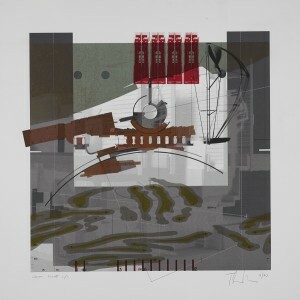 This serigraph was a color proof and at least one other edition, with different colors, was made. This entry was posted in 125th Anniversary, Drawings & Archives on October 30, 2015 by Ted. Celebrate Avery’s 125th anniversary at this special one-day only exhibit! 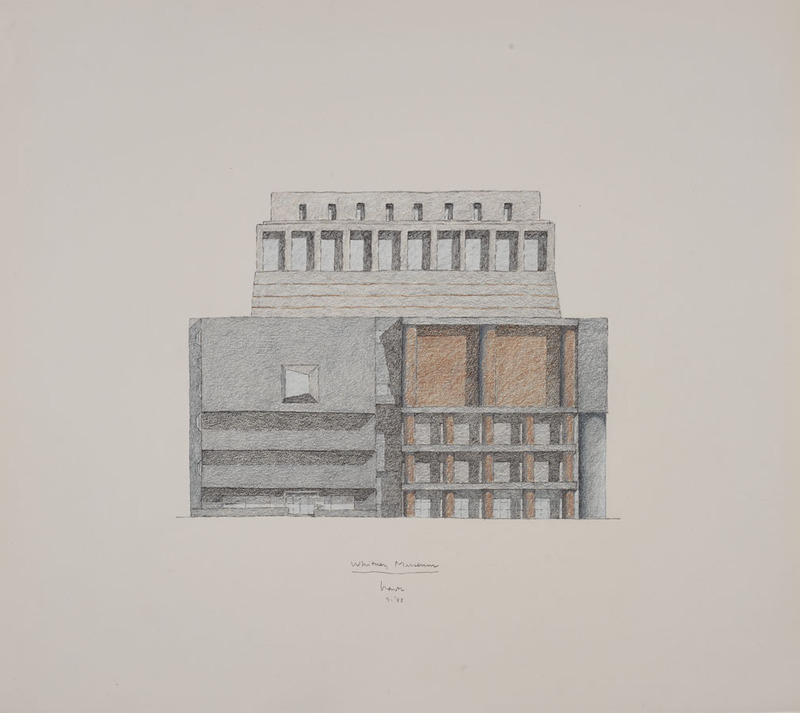 One of the most controversial projects of the 1980s, this drawing represents Graves’ third and final scheme for the Whitney Museum expansion. The Graves proposal was not popular and eventually both Rem Koolhaas and Renzo Piano supplied subsequent schemes. Eventually the popularity of the High Line provided a location receptive to a contemporary building and Renzo Piano’s new museum has recently opened to general acclaim. This entry was posted in 125th Anniversary, Drawings & Archives, Exhibitions on October 28, 2015 by Ted. 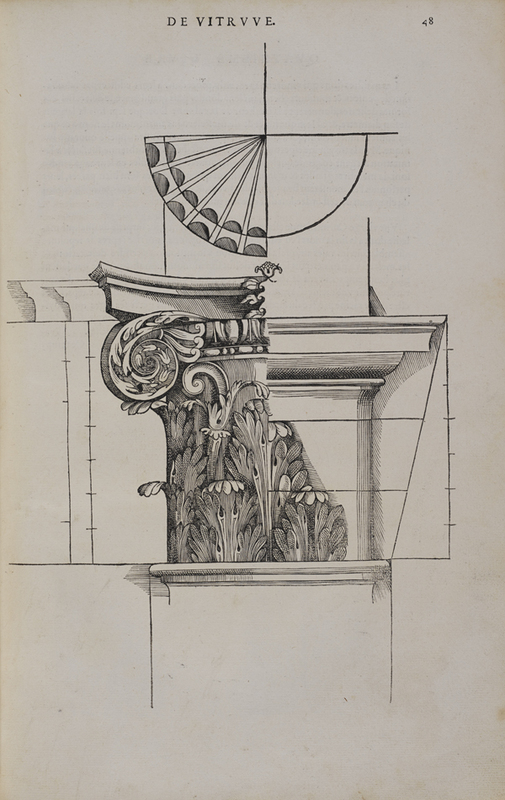 Etienne Du Pérac was a skilled engraver, painter and architect who traveled to Rome in 1559. 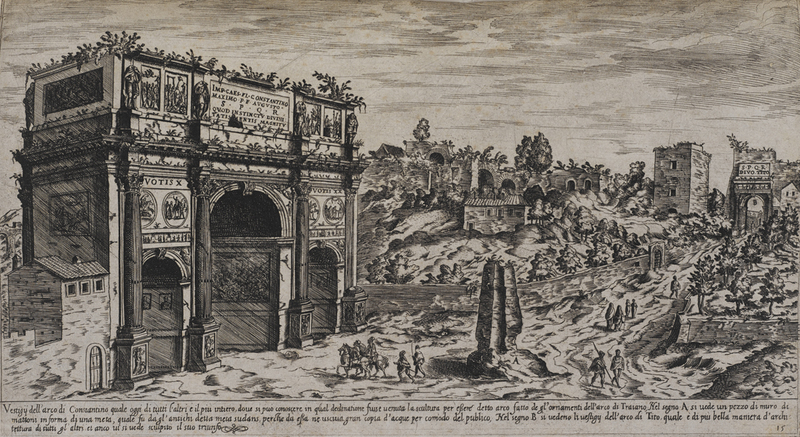 He quickly found work engraving scenes of the city, including this view of the Arch of Constantine, which was typical of Du Pérac’s engraving style. This entry was posted in 125th Anniversary, Avery Classics Collection on October 28, 2015 by Ted. Architectvre, ou Art de bien bastir, de Marc Vitruue Pollion. 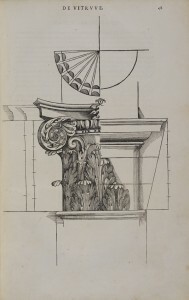 The first French language edition of Vitruvius, the only comprehensive architectural treatise to survive from antiquity, did not appear until 1547. 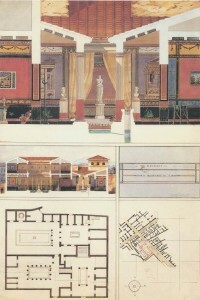 The text dealt with all aspects of architecture from the education of the architect to technical explanations of the orders to the site and construction of buildings. The crisp woodcuts that enhanced the text were created by the royal sculptor Jean Goujon. This entry was posted in 125th Anniversary, Avery Classics Collection on October 27, 2015 by Ted. Join us for this one night only opportunity to view 125 extraordinary works curated from Avery’s remarkable collections. 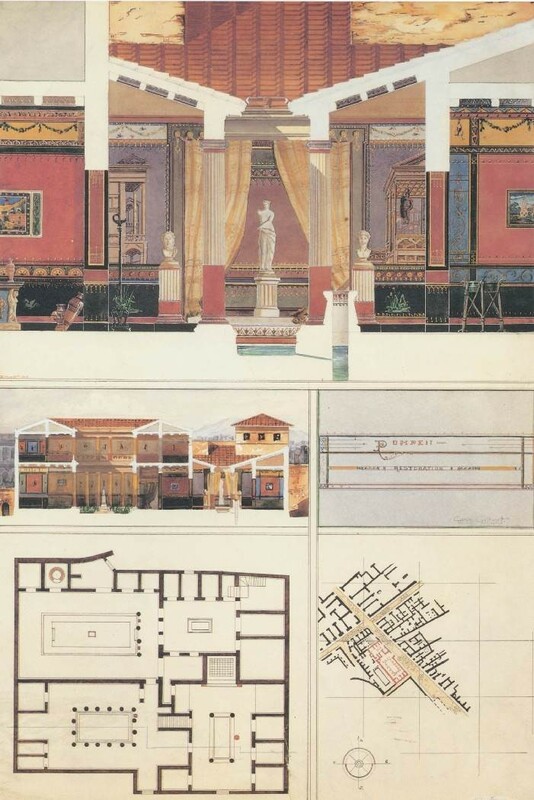 Spanning seven centuries from Alberti, Serlio & Piranesi to Le Corbusier and Wright, a tour de force presentation of publications and drawings from our art, rare books, drawings and archival collections. 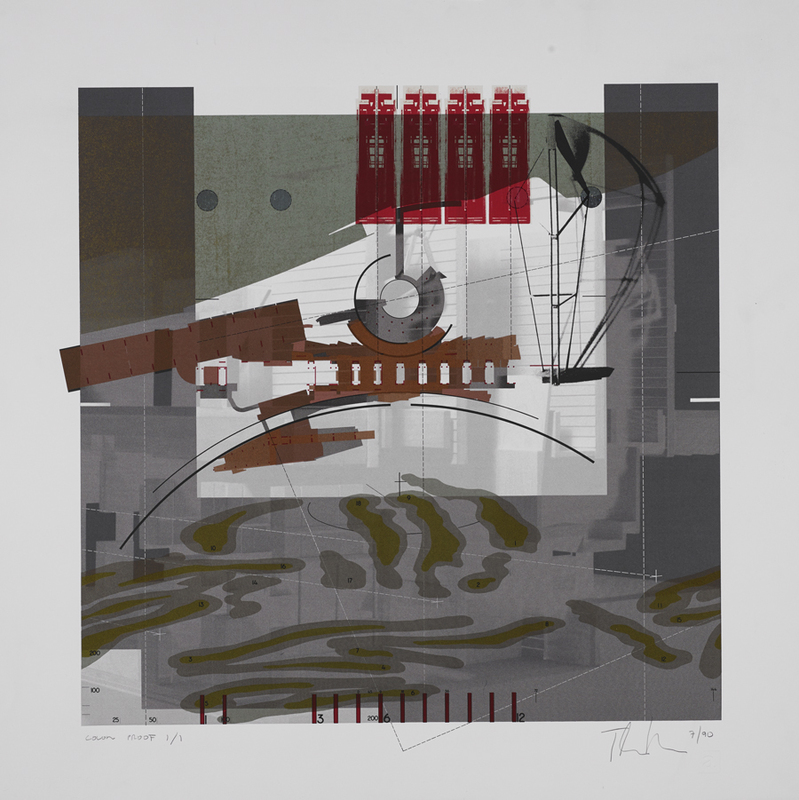 This entry was posted in 125th Anniversary, Exhibitions on October 21, 2015 by Ted. 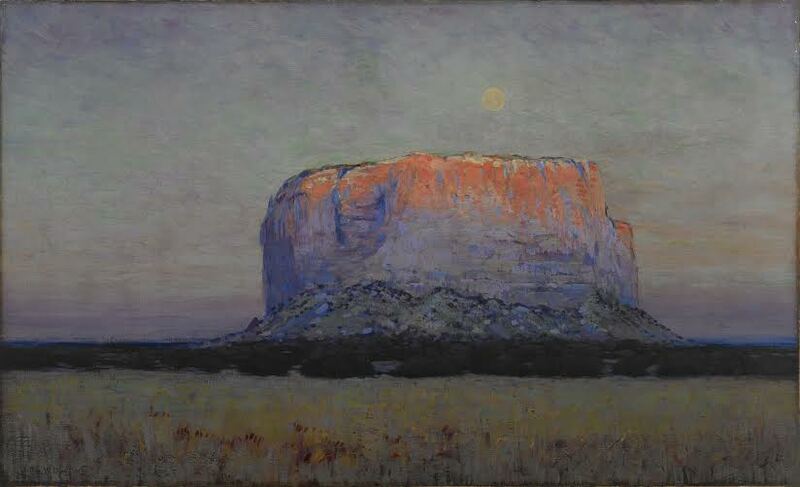 Arthur Wesley Dow, The Enchanted Mesa, 1913, oil on canvas, 32 3/4 x 54 in., Art Properties, Avery Architectural & Fine Arts Library, Columbia University in the City of New York, Transferred from the Women’s Faculty Club (C00.1371). Among the great American landscape paintings in the Columbia University art collection, stewarded by Art Properties, is The Enchanted Mesa by Arthur Wesley Dow. 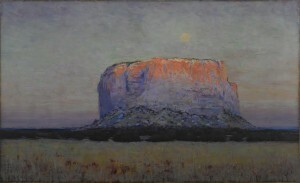 Painted in 1913, this painting depicts a Western mesa illuminated by the setting sun while the full moon rises above it. This painting was originally exhibited at the Panama-Pacific International Exposition in 1915, and has been loaned to the de Young Museum in San Francisco as part of their centenary exhibition of this groundbreaking exposition. Entitled “Jewel City: Art from San Francisco’s Panama-Pacific International Exposition,” this exhibition brings together more than 200 works of art by American and European artists that were displayed there a century ago. The exhibition runs from October 17, 2015 to January 10, 2016. This entry was posted in Art Properties, Avery on the Road on October 16, 2015 by Ted.